This photo was taken at just his 7 months old. Viva has already very big boning and well-balanced body type. 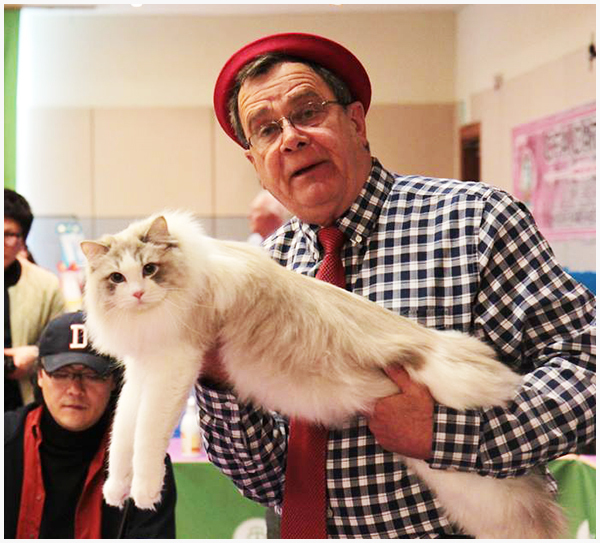 He showed in Indonesia,Thailand,South Korea and a CFA International show in Cleveland for kittenship and championship. He got a grand at 10 months old and i am campaigning for him for 2018-2019 season still. When he was a kitten, he got a best kitten 6 times from all rings at a TICA show. We are so proud of him much and are expecting for his remaining shows. This boy who has a sweet doll face is Anduin to Thailand. He is from CFA GC,DW Vavidoll Far Beyond The Sun and Vavidoll Charlize Theron. He looks like his mother and his grand father,Lottarags Hermes. This amazing boy got a GC with a Divisional Winner title. Zeus is a a son from Darlinlildols Precious and Regencyrags Habanera. He has a very strong body and lovely personality. He is living with us. 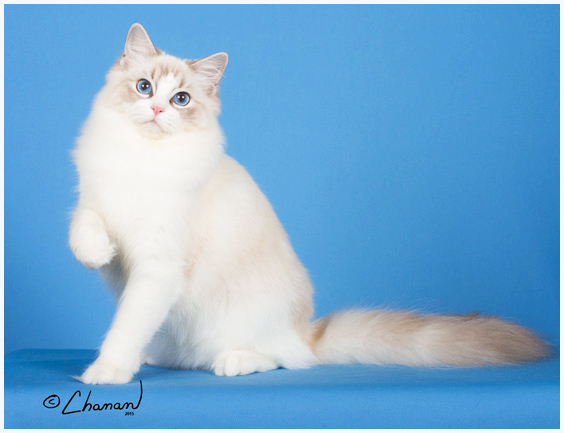 Avalon is a son of CFA GC/TICA SGC Vavidoll Final Fantasy and CFA CH Vavidoll Coco Chanel. He got a Grand and he is campaigning for DW in South Korea for 2018-2019 season. 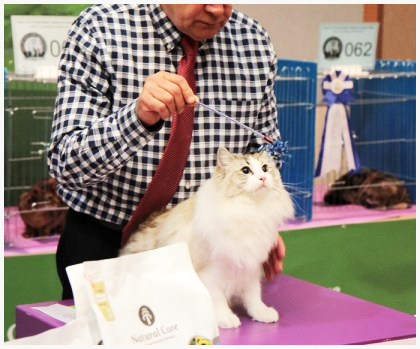 He attented to a CFA International show in Cleveland and became a Best ragdoll Alter of Purple show. 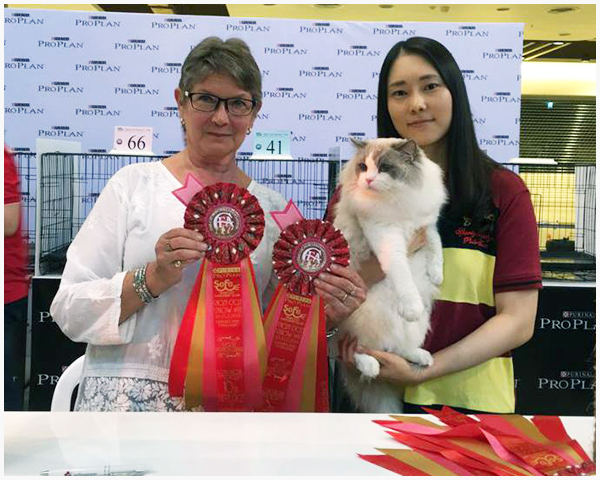 He got a one show grand at 4 years old in Thailand and got a Second Best Ragdoll in International in 2016-2017 show season. 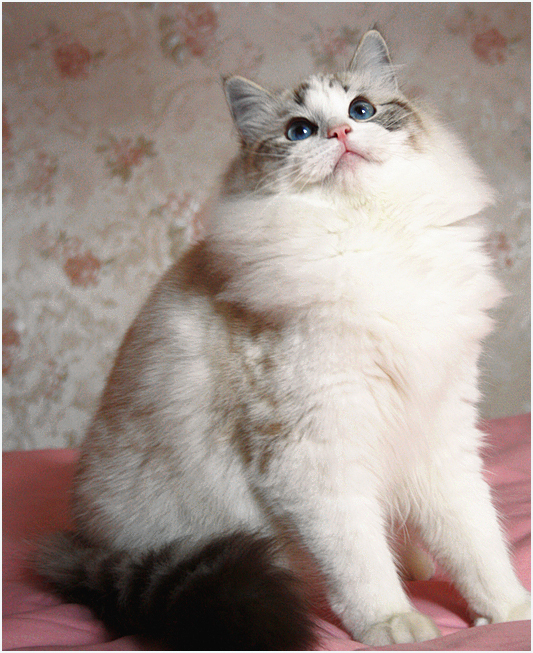 She is from CFA GC/TICA SGC Vavidoll Final Fantasy and CFA CH Vavidoll Coco Chanel. 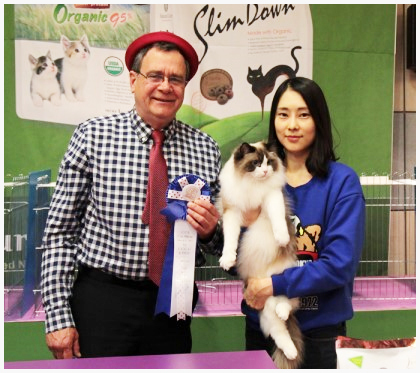 This photo was taken by Chanan at International show when she was 7 months old. 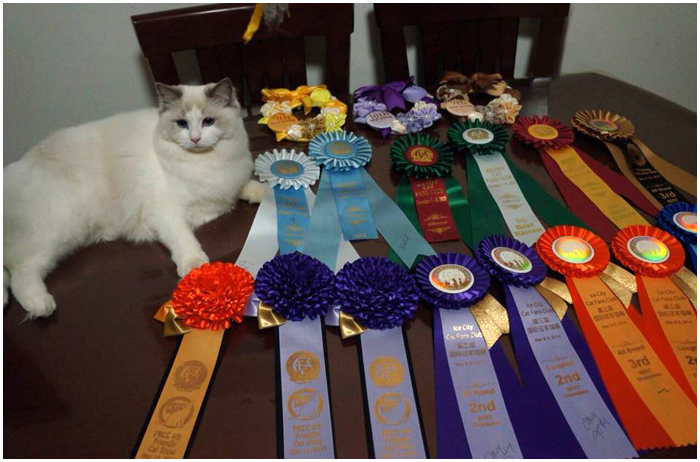 This was her last kitten show and she got 6 finals out of 8 rings. She earned some points for DW and she got a DW in 2016-2017 season. Sunny is from our first litter and his parents is CFA CH Raggledazzle's Jordons Last Hurrah and TICA CH Ragbenchers Godiva. He has a long and heartbreaking story. He was been back to us by his owner's big issue. It was taken quite long time to adjust in our home again but he did. 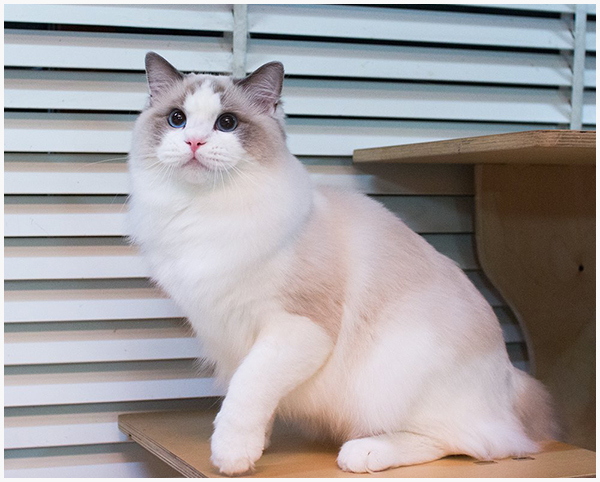 He got a one show grand at 4 years old in Thailand and got a DW title in South Korea and a Second Best Ragdoll in International in 2016-2017 show season. We wish he would be happier with us than before ! 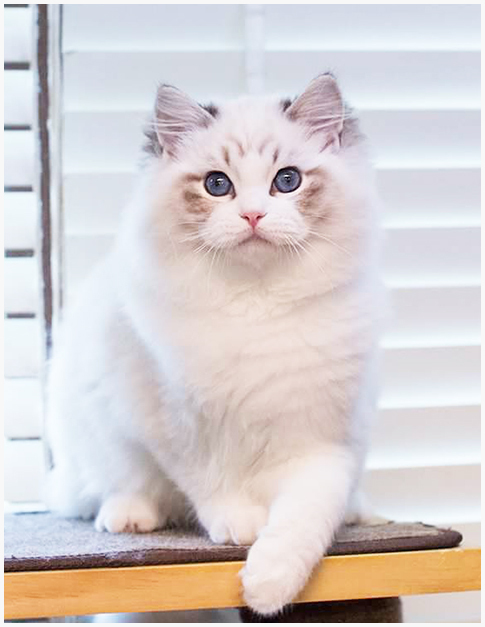 Daniel is a sibling of CFA GC/TICA SGC Vavidoll Final Fantasy from a same litter. His mom is Eria Pro Zara of Vavidoll,DM who produced 5 Grands. He is from Darlinlildols Precious and Eria Pro Maria Callas. He got a grand although he has a asymmetrical mask. He showed me a well balanced body type is more important than a symmetrical mask. Alexander was quite nervious at his shows but he was able to get a grand finally! 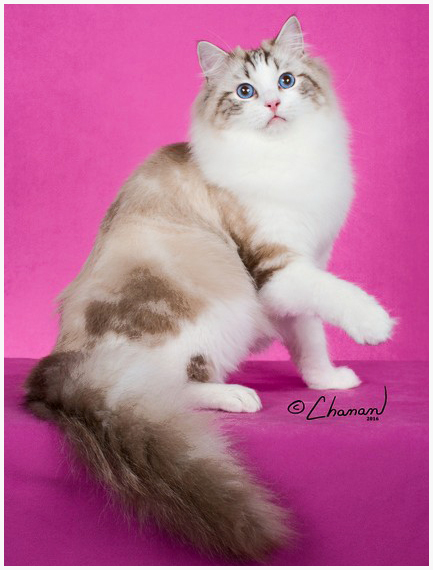 His parents are CFA CH Darlinlildols Precious of Vavidoll and Eria Pro Maria Callas. Ivanhoe is a son of a retired CFA CH Lottarags Hermes of Vavidoll. He got our first RW title in AA region from TICA. Jade is from CFA GC/TICA GRC Lottarags Hermes of Vavidoll and Eriapro Zara Zaretta,DM. I appreciate his owner for his showing! 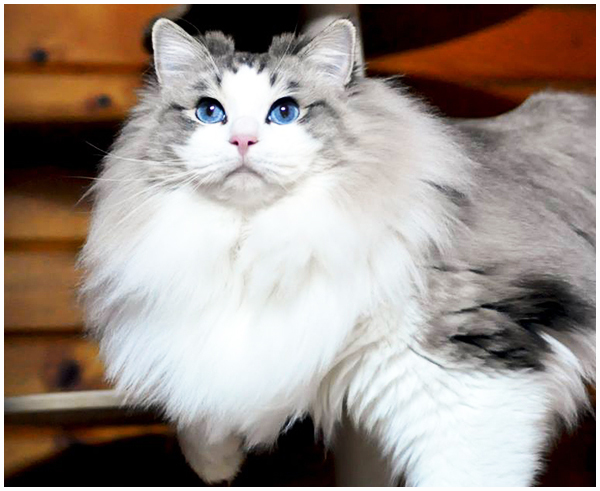 GP Vavidoll Stardust is a son of CFA GC/TICA SGC Vavidoll Final Fantasy. He got one show grand! 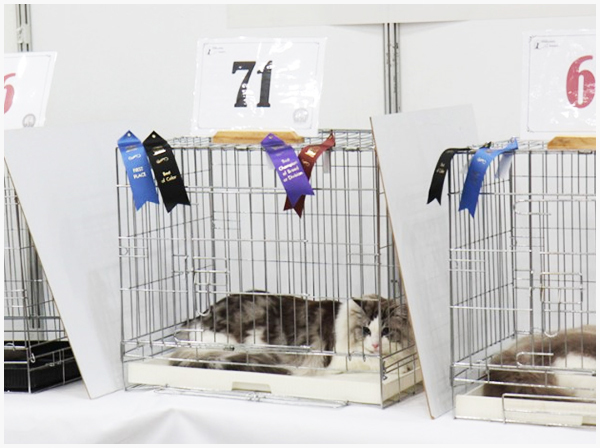 Final Fantasy became a Grand Champion April,13,2014 at the CFA-CCC show! Despite the poor CFA shows in S.Korea, he brought it off. 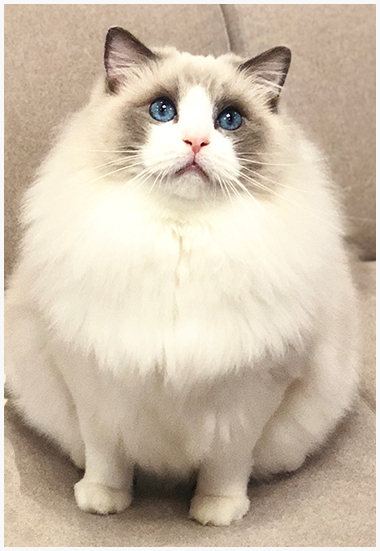 He became a 3rd CFA Grand Champion in Zara's first litter. Also he got a SGC title from TICA. We are so proud of him! Good boy! Guidian Angel is very sweet boy! He really enjoyed his showing. He showed all judges his wonderful show manner. 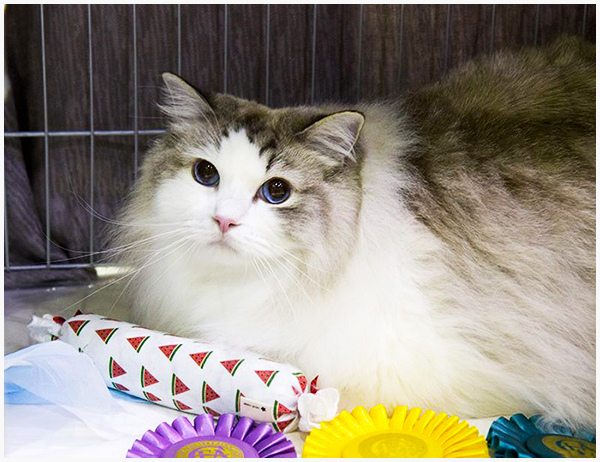 He is my first a Divisional Winner cat. 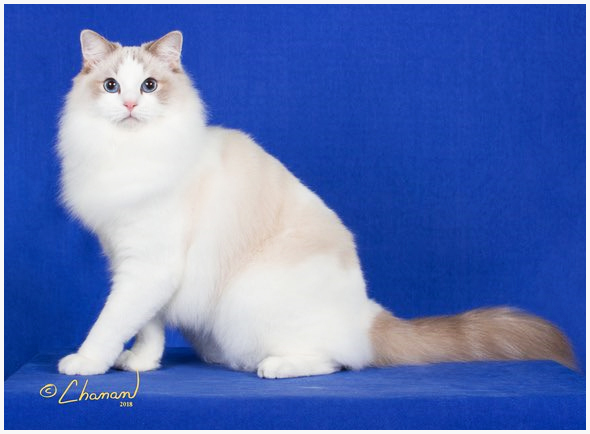 This is CFA GC Kristina from CFA champion Jordon and CFA champion Habanera. She got a Grand champion by only two shows. We are so happy to be able to hear this good news from her owner,Katerina. This is CFA Grand Champion VAVIDOLL Katherine, a lovely seal lynx bicolor girl by Zara. She was earned the GC by only 2 shows. Congratulations, Wang! I hope she can produce great babies for you! 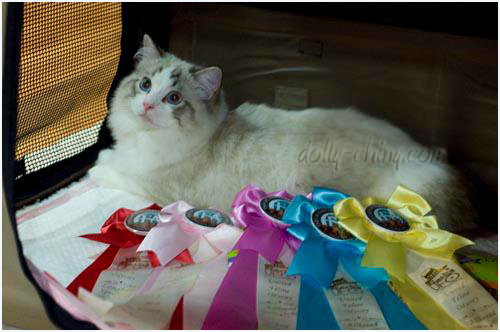 This is CFA Grand Champion VAVIDOLL Moses of dolly-chiny, a beautiful seal lynx bicolor boy. Both he and GC Katherine was first litter of Zara. He was earned GC Jan,2014! And he became a father. Congratulations, Maggie! I was so happy to hear the good news!